Bring together the best of practicality and style, and dress up your business with Mentone full exposure polished concrete. 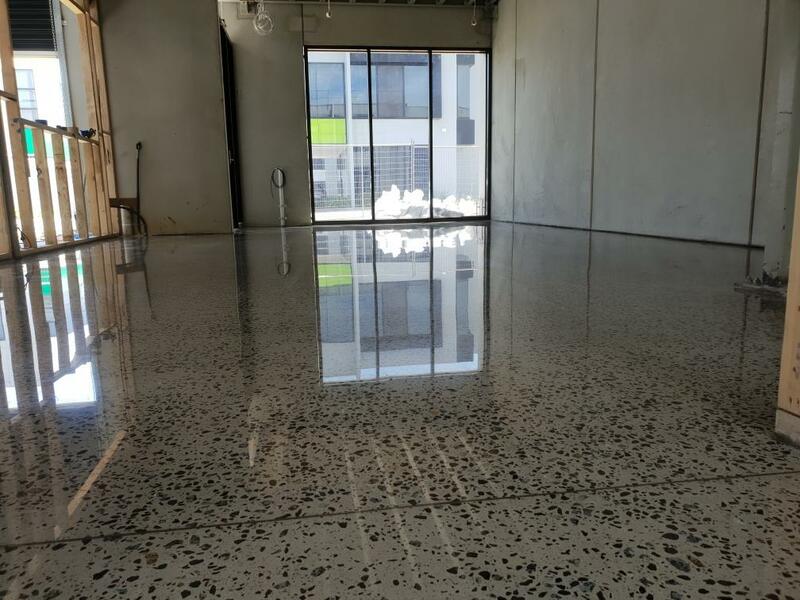 One look at this recent Mentone full exposure polished concrete job, and it just makes sense to have a floor that is low maintenance and hard-wearing, while also looking fantastic. The beauty of choosing full exposure concrete polishing for your space – whether retail, industrial or residential – is that your floors are truly unique. No two floors are the same, as it all comes down to a number of variables, such as aggregate and technique. 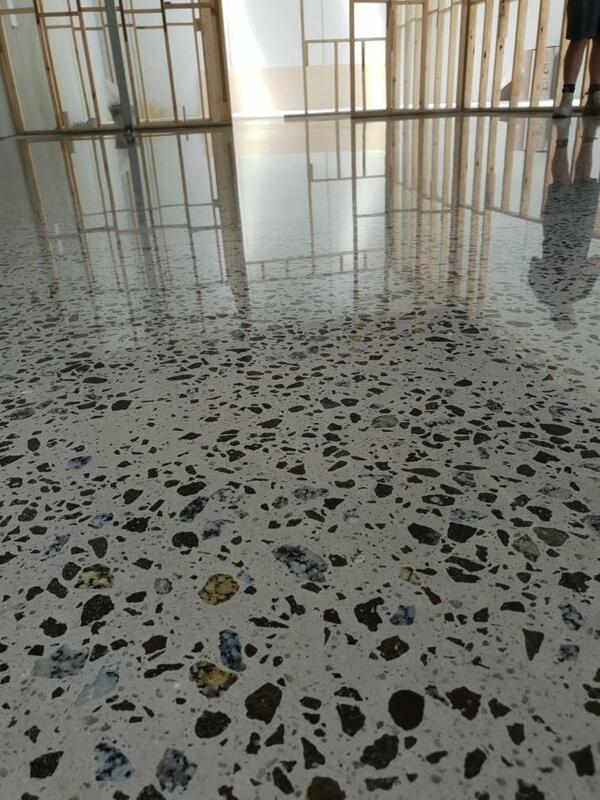 Like this Mentone full exposure polished concrete floor – it is as unique as our very own fingerprints. One of the standouts for this particular floor is the bold aggregate that has been exposed. You can see stones of all shapes and sizes, varying in tones from black and grey, right through to brown and creamy hues. This gives the flooring a beachy feel overall, which really suits the bayside location of Mentone. With a high gloss finish, there’s plenty to love about this result. It opens up the space and creates a brilliant canvas to add just about anything! While nothing will clash with this Mentone full exposure polished concrete flooring, it is also a solid stand-alone feature. While this particular project highlights how well-suited polished concrete flooring is to retail or office buildings, the possibilities certainly don’t end there. You can use this as inspiration for your own workplace, or even your home. 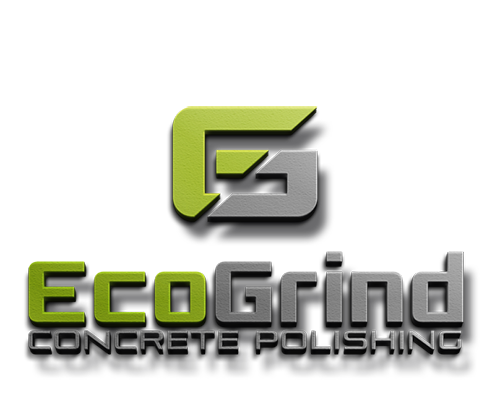 At Eco Grind, we know how to get the most out of your concrete slab, turning your drab grey base into an individual and artistic design feature. When you are looking to invest in a finish such as polished concrete, you really do need to enlist the help of a team that is experienced and professional. 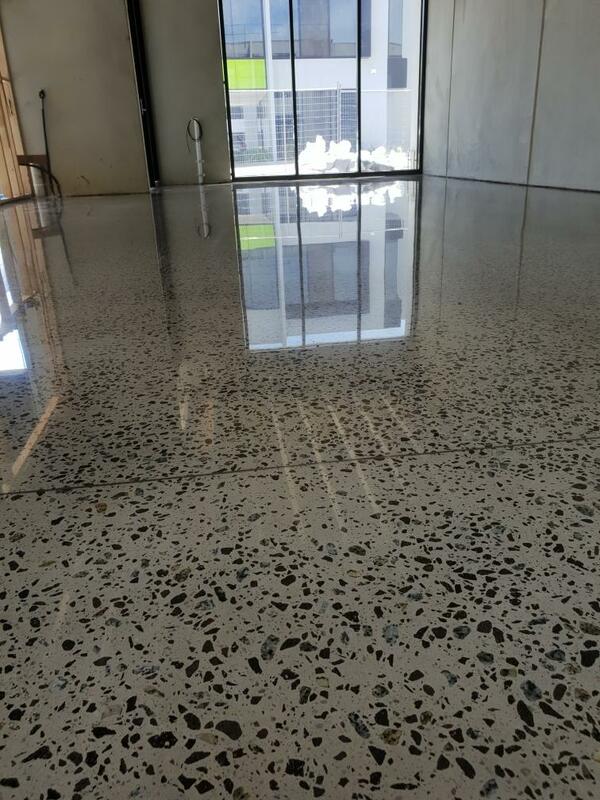 Do you like the look of this Mentone full exposure polished concrete floor? Contact Eco Grind today, and find out how you can achieve this look for your own property.